Bill Bunting (N5SAL), Meteorologist-In-Charge, Fort Worth NWS, has accepted a new position. Starting early April he will be the new Operations Branch Chief at the Storm Prediction Center in Norman Oklahoma. 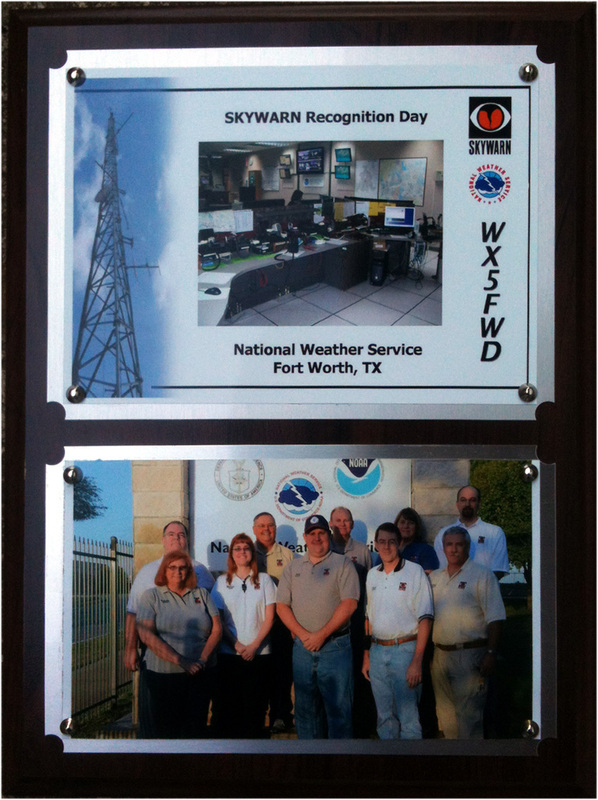 The WX5FWD NWS SKYWARN Team volunteers joined Bill and his wife Janice for dinner Thursday evening. A photo of the plaque presented to Bill and Janice is attached below. Please join us in wishing Bill and Janice congratulations, thanks and good luck in the new position.